On the Table is an invitation to come together. 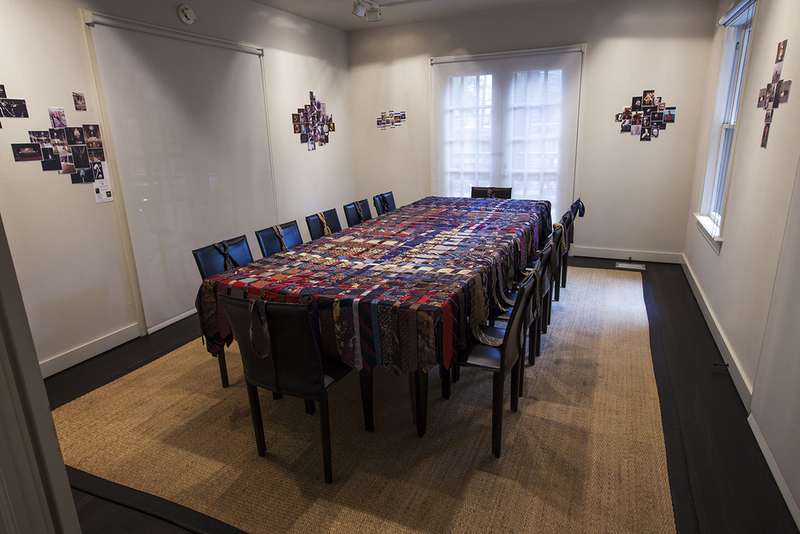 The object is a tablecloth woven out of 210 neckties; twelve ties extend out from the table allowing them to be worn while eating and talking. The object engages conversation as a medium, renders connection physical, and asks us to embody what we bring to the table. Two installments of On the Table were presented. The first in conjunction with Janine Antoni and Stephen Petronio's exhibition, Incubator, at testsite Austin. The setting was a table in a home, where the artists spoke about their work and invited the dinner guests to share their own anecdotes. On the Table was then presented at the Francis Young Tang Teaching Museum at Skidmore College. In the gallery setting, theatrical lights created the tone for the interactions. Tom Yoshikami, Museum Educator for College and Public Programs, organized the series of dinners with Skidmore College students. 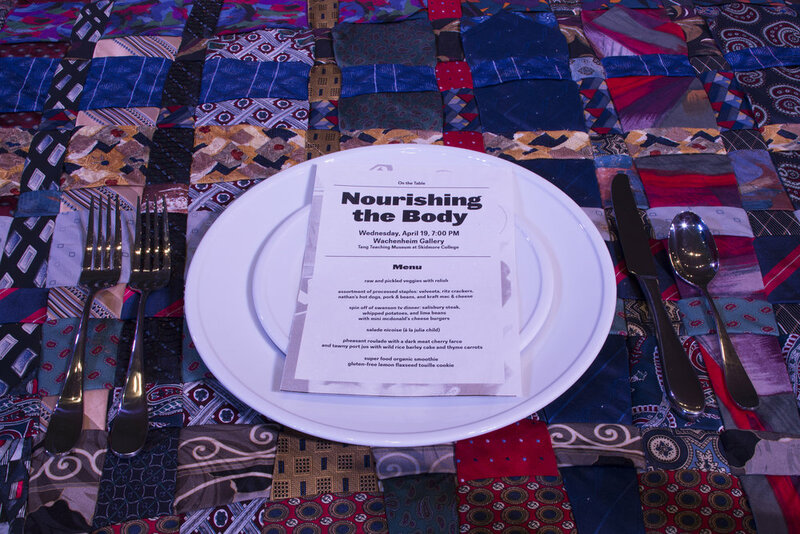 The students came up with four themes for four dinners; each menu was designed to compliment the theme. During gallery hours, On the Table was open for gallery goers to invite guests to the table. They and their guests were offered the opportunity to set the lighting most conducive for the conversation they intend to have.